The Riel pendant demonstrates the effect of combining modern ideals with romantic* and classical style. An innovative drum shade features a classical cut-out motif and surrounds a chromed chandelier bedecked with crystals. The end result is a look that is unexpected, dramatic, and very sophisticated. Shade is constructed from laser-cut acrylic. 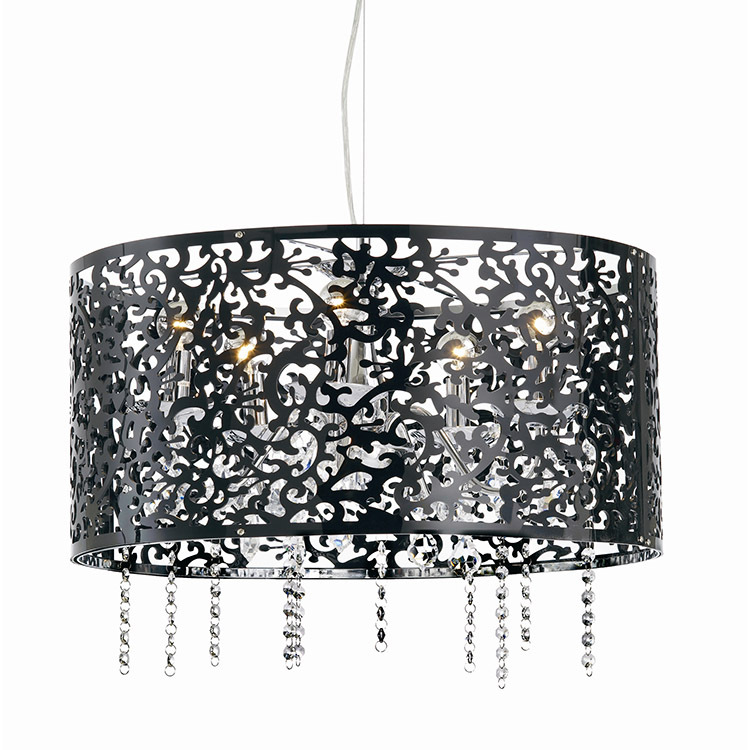 Available with black shade over chrome & crystal chandelier. Requires five 40-watt candelabra based bulbs (not included). 71″ of cord provided for hardwire installation into a standard American junction box.